Canadian online-gambling giant Amaya Gaming has issued a call this week for US states to enact regulatory and consumer protections in the nascent daily fantasy sports (DFS) industry, amid the DFS world’s ongoing flood of bad publicity over alleged insider use or privileged information at market leaders DraftKings and FanDuel. 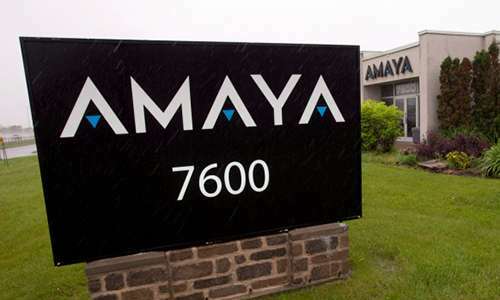 Amaya’s call to regulatory action was issued on late Tuesday but was largely drowned out by the escalating series of events involving DraftKings and FanDuel, which combine to offer the majority of what is currently estimated to be a $2.5 billion industry. Amaya itself owns the generally recognized third-place brand in the niche. Now known as StarsDraft, the Amaya-owned offering was formerly called Victiv, and is not a part of the possible insider-info scandal currently besieging the DFS industry’s two leaders. The recent incidents involving the practices of the leading companies in Daily Fantasy Sports demonstrate that the current self-regulatory practices have fallen short and that we need stricter state regulation consistent with existing state consumer protections for other gaming activities. Amaya and StarsDraft.com call on state regulators to adopt tougher restrictions that safeguard players and institute controls to ensure all operators are held to a high standard of consumer protection and business integrity. We are launching an active effort to work with states to enact legislation that meets the consumer protection interests of all parties. Amaya is one of the most licensed gaming companies in the world and has a longstanding history of working responsibly and in partnership with regulators around the globe. Since we entered the DFS category earlier this year, we have brought regulated gaming best practices to StarsDraft’s already responsible business operations, including segregating player funds from operational funds and ensuring stringent controls that meet the demands of our compliance, audit and security departments. In addition to Know Your Customer, age and location verification, these controls include strictly monitoring, recording and restricting access to sensitive information. In light of recent events, we will be taking additional steps to ensure that our sensitive data is even further restricted, including implementing a new encryption scheme for all line-up data in upcoming contests. Consumer and player protection is and will remain of paramount importance to Amaya and StarsDraft. Beyond our current audit, compliance and security controls, our StarsDraft DFS platform strives to lead the industry using innovative features geared towards casual sports fans. We are committed to providing a fun, fair and engaging fantasy sports experience. Contrary to industry norms, StarsDraft works to ensure a proper and fair playing field for all those involved, including explicitly forbidding the use of professional scripts and bots in our contests. We provide a Bankroll Builder program, which allows users to learn more about daily fantasy sports in a risk-free environment, and offer a suite of anonymous head-to-head competitions, which ensure that users are playing against other sports fans in randomized matchups of skill. Amaya knows too well the perils that unregulated and under-regulated industries pose to consumers, and like many other present-day online-gaming companies continues battling the mixed legacy online gambling itself has left over its decade and a half (plus a tad) of existence. Amaya’s 2014 purchase of the PokerStars brand necessarily involved inheriting both Stars’ massive brand presence and the millstone of some of the old Stars’ earlier legal troubles, which PokerStars’ opponents have wielded as political weapons as often as possible, relevant or not. Over the last year, Amaya has taken a broad, “high road” approach to its various market and political battles, seeking to work with state and federal authorities and cement Amaya’s own reputation as a responsible and well-regulated operator. As the parent of StarsDraft, Amaya stands in stark contrast to DraftKings and FanDuel, largely unregulated companies who don’t seem to have learned much from other the lessons learned in other online gambling market segments. DraftKings, in particular, appears to have gone down the same money-grabbing, exploitational path as some of the worst online-poker firms of the past decade, already leading some to wonder if the company — founded in large part by former poker players — might suffer a similar fate. The above statement notes that StarsDraft (formerly Victiv) has already forbidden the use of “scripts” and “bots” and other forms of third-party software assists that favor experienced players to the point of artificially skewing the game’s competitive balance. As the owner of PokerStars and Full Tilt, parent company Amaya is all too familiar with the type of damage that such software assists can cause. Amaya’s poker sites, for comparison, are part of an industry-wide trend to curtail such software and computational-aid abuses. That dilemma appears to be of utmost importance in DFS, where market leaders DraftKings and Fanduel have flooded the US market with ads appealing to casual fans’ general sporting interest, while downplaying the fact that the stat-crunching necessary to succeed in DFS in the long run current requires a time-and-resources commitment totally unlike what the ads themselves seem to indicate. As a follow-up to Amaya’s call for regulation, the company has also released an overview, crafted yesterday and released to select industry outlets. This “StarsDraft Overview” confirms, while certainly serving as a promotional tool, also confirms that StarsDraft has also formally suspended the ability of its employees to play at competing DFS sites, a question that all DFS sites have been forced to face in the wake of the ongoing DraftKings/FanDuel fiasco. If there’s a thought-provoking takeaway from the overview (below), it’s that Amaya and StarsDraft recognize that “skill” should be something other than computational or purchasing power, a distinction that the oft-denigrated “script kiddies” generally view as an affront. Nonetheless, DFS probably can’t survive in the long run if it continues to make the same mistakes that the online-poker industry has already learned in a very painful manner. Integrity — Following the October 4 DraftKings/FanDuel incident, StarsDraft has suspended employee play at competing sites, while it determines the long-term policy implications. DFS is a game of skill and, sometimes, the most skilled players don’t reap the rewards they deserve due to a group of professional players using special advanced computer software (“scripts and bots”) to optimize entries. When this software enters hundreds of entries into a tournament, edits countless lineups after a late-breaking injury or preys on inexperienced players, it limits the chances that real, passionate fans – using their sports smarts, skill and strategy – have to outwit friends and other opponents. While some sites place entry limits or require certain permissions to utilize those scripts, StarsDraft prohibits the software that gives some people what is deemed an unfair advantage. The protection of player accounts and veracity of contests is of utmost importance to StarsDraft. The site caters directly to the fans, the backbone of their product decisions. StarsDraft believes that scripts, bots, and all other forms of DFS performance-enhancers are detrimental to the overall enjoyment of the game and the future growth of the industry. Training — By offering DFS novices ways to gain experience without losing money, StarsDraft embraces the new user. Its Bankroll Builder, for instance, allows players to practice entering contests against a computer-generated opponent for the chance to build skill without risk – but with the opportunity to win real-money prizes. Victron, another original feature, helps players to research and construct a DFS lineup by adjusting sliders and varying emphasis on certain statistical categories. StarsDraft Platform — Both user-friendly and intuitive, Amaya’s IT infrastructure ensures the safety and security of millions of transactions every hour and, with best-in-class customer experience teams, StarsDraft brings an unrivaled playing experience.